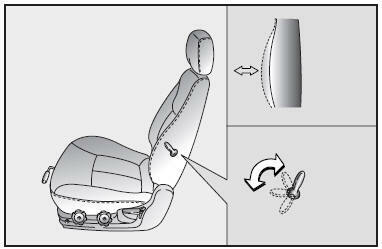 You can adjust the lumbar support by moving the lever on the right side of the driver’s seatback. Pivoting the lever toward the front of the vehicle increases the lumbar support. Pivoting the lever toward the rear of the vehicle decreases the lumbar support.